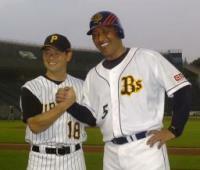 uniform « Japan, Hockey, Baseball, etc. The only team to not have opened their 2008-09 Asia League campaign, the China Sharks, will start their season on the road with a game against the Nikko IceBucks tonight. The Sharks will instantaneously have, by far, the largest capacity arena in the league now as the brand new Shanghai arena seats 6000, I hope they do a hell of a marketing job to get enough butts into those seats to create some atmosphere and excitement. The Sharks management actively seeked out this arena, so they seem ready, let’s hope the Shanghai citizens are ready for some hockey! China is going to make a run for the 2018, or more likely the 2022, Winter Olympics, and want to make sure that they have a competitive hockey team, and that is one of the reasons for the Sharks involvement. 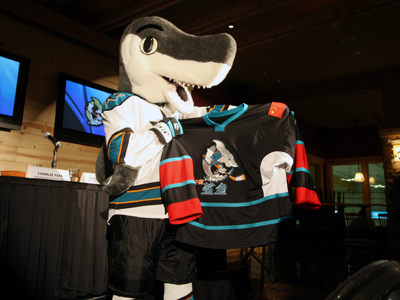 The new China Sharks uniform (home darks, I assume) was also unveiled. But ugh, the Chinese red completely clashes with the Sharks black and teal. Guess we’ll see what colours their helmets, pants, and socks will be from tonight’s Bucks game photos. 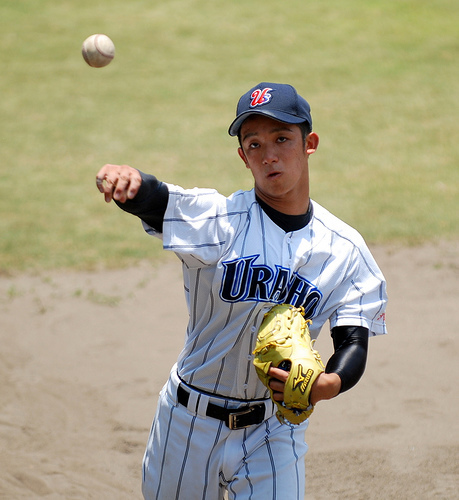 The 90th Koshien Summer Tournament is chugging along as we’re now in day 4 of first round games. I saw Kanto-Daiichi in the quarterfinals and semifinals of their East Tokyo qualification tournament. 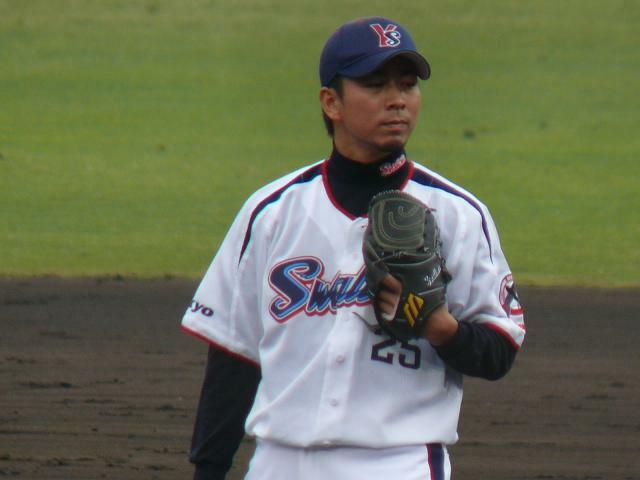 I have a rooting interest in Okinawan high schools, and Urasoe defeated the 2008 Spring Koshien (invitational) champs Okinawa-Shogaku in the Okinawa qualifier tournament final, so they’re a legitimate threat to win it all this summer. Pitch counts are often mentioned during game commentary, mostly as how it wears down pitchers, and some teams even talk about a walk being just as valuable as a hit (not true, but close, and way better than discounting the walk). The tides are slowly changing even in high school ball.